Mike Bunston, Rhydwyn Harris, Kay Dixon, Chris Lloyd, Mike Dury, Helen Davies, Kim Wehden, Haydn Hartnell, Vicki Jones, Kelly Jacka, Sam Methuen, Michelle Johnson, Glyn Hicks, Cheryl Francis. The minutes of the meeting can be viewed here. Very well done to this young man (our very own Haydn Hartnell), silver medal winner in his age category at the East Wales Road Race Champs held at Elan Valley on 21st November. Race 1: Sun. 27th Sept. 2015. Venue : Parc Bryn Bach, Tredegar, NP22 3AY. The presentation of awards for the GLCL 2015/16 Road Race Series and the Combined Series will take place afterwards. Race 2 : Sun. 22nd Nov. 2015. Venue : Usk County Hall & College Grounds, Usk, NP15 1GA. Race 3 : Sun 10th Jan. 2016. Hosted by : Islwyn Running Club. Venue : Pontllanfraith Council Offices, Blackwood, NP12 2YW. Race 4 : Sun. 21st Feb. 2016. Hosted by : Chepstow Harriers. Venue : Chepstow Leisure Centre / Piercefield Park, Chepstow, NP16 5LX. Race 5 : Sun. 20th Mar. 2016. Hosted by : Pont-y-Pwl & District Runners. Venue : Pontypool Park, Pontypool, NP4 8AT. The club will also be entering teams in the Gwent League X/C series. Details on fixtures etc. are on the Gwent League website here or on our IRC site here. Well done to all who participated in this year's Murder Mile! The provisional results are here. 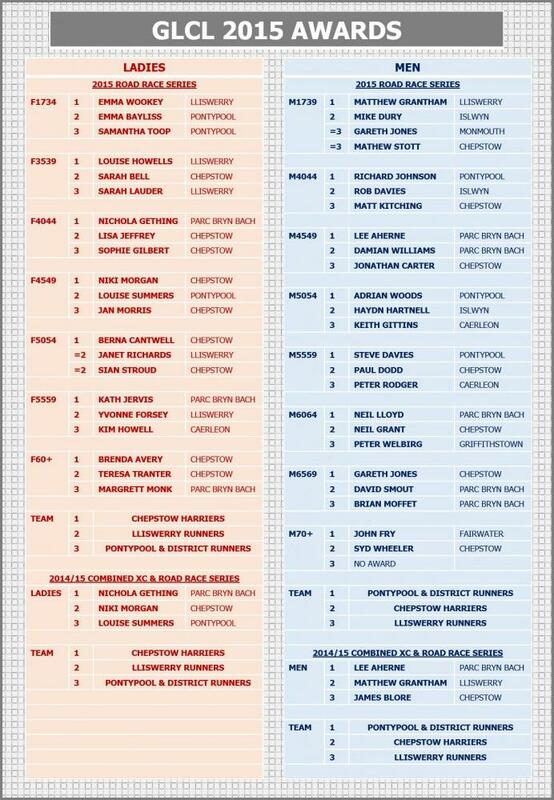 We're missing a couple of runners from the results, namely Jan Richards (Lliswerry), Gareth Chislett (u/a) and Matthew Evans (Aberdare), so if anyone can assist with this please get in touch with Mike Heare or via the IRC Facebook page. ...has been and gone (until next year), results are here! 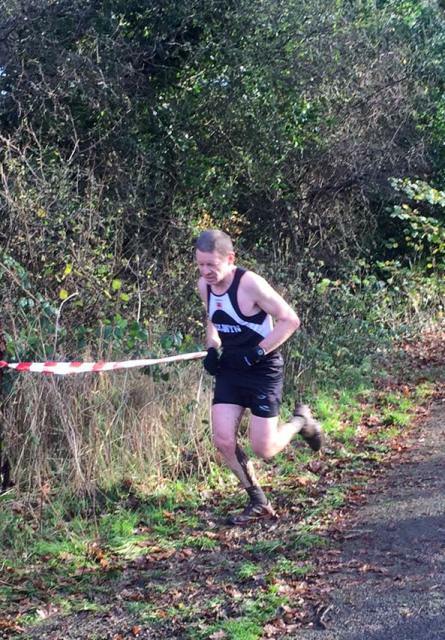 Islwyn men 5th overall in the series. Islwyn women 6th overall in the series. 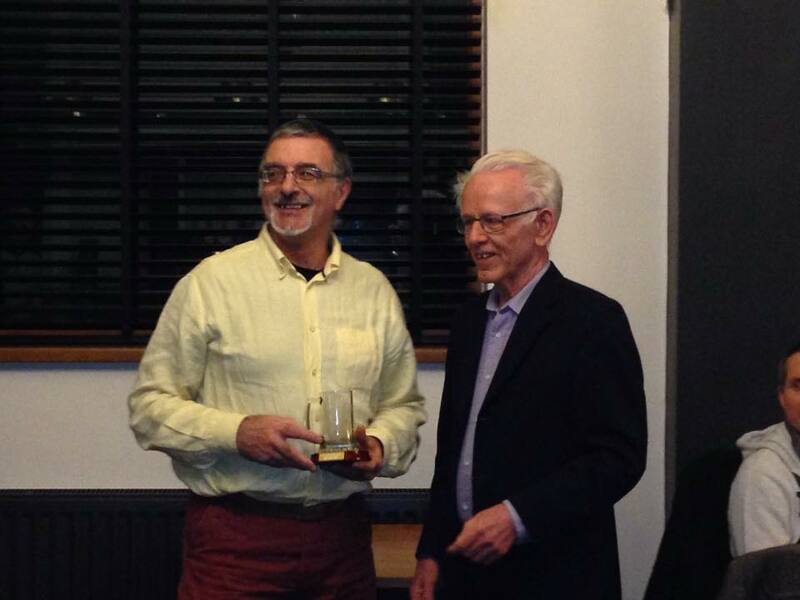 The evening of Friday 30th January saw Islwyn Running Club hold their 2014 awards evening at the New Forge in Oakdale, smashing last year's attendance with over 70 guests. 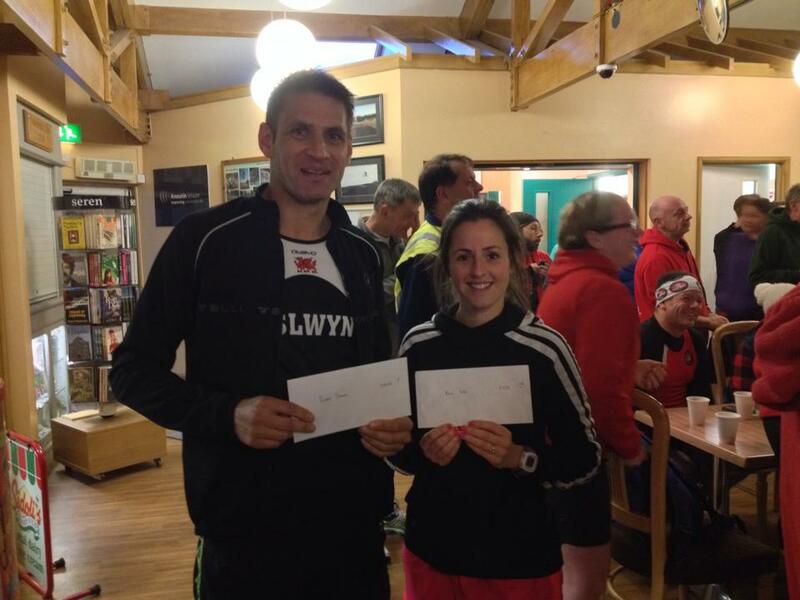 Male club champion was Chris Lloyd, Female club champion was Julie Lewis. Most improved male athlete was Aidan Davies, most improved female athlete was Sara Arnold. 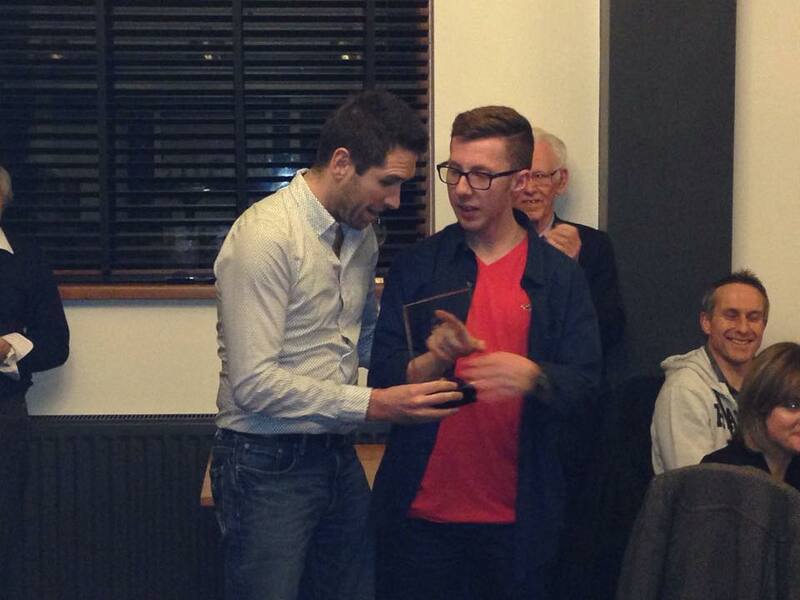 Outstanding Achievement Awards were presented to Russell Dobbs and Sean Birch for each completing 100 marathons. There were 10 year club awards presented to Blair Lundie and Kate Bennett. Thanks were expressed to Coleen Birch for organising the evening. A good time was had by all! 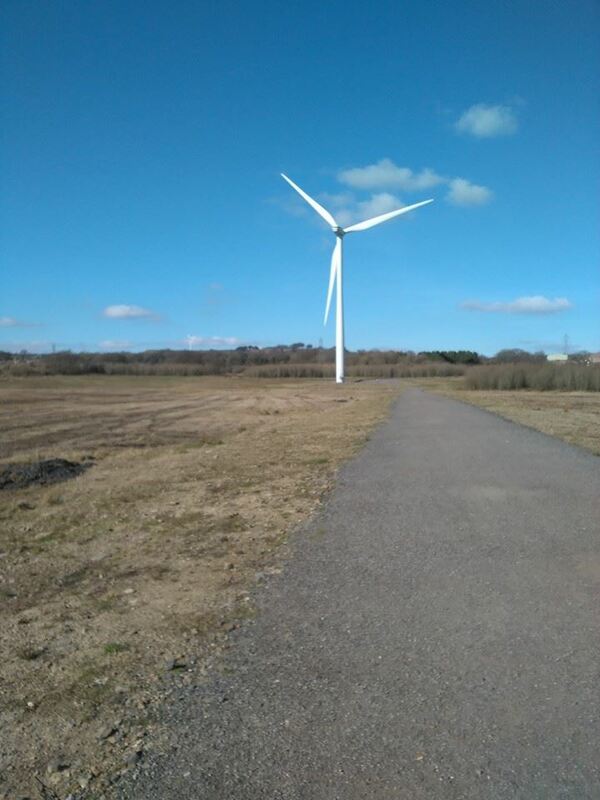 Tuesday 19th May 2015 - Parc Bryn Bach Running Club (Parc Bryn Bach, NP22 3AY, includes presentation for GLCL X/C series). 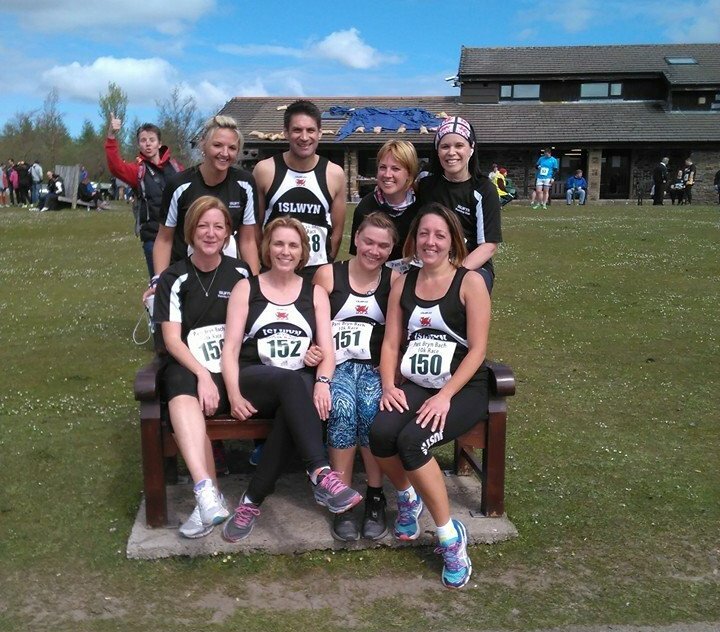 Tuesday 16th June 2015 - Spirit of Monmouth Running Club (Trellech, NP25 4PA). 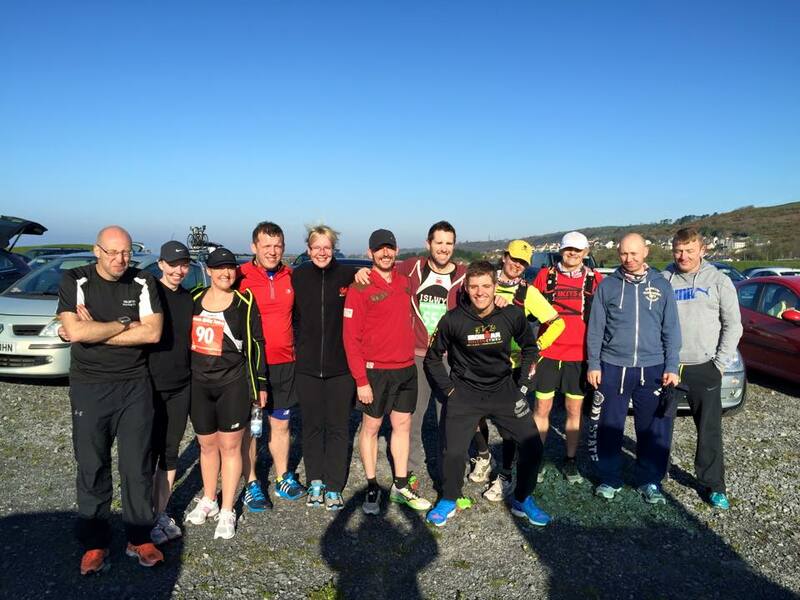 Tuesday 7th July 2015 - Caerleon Running Club (Llanhennock, NP18 1LT). 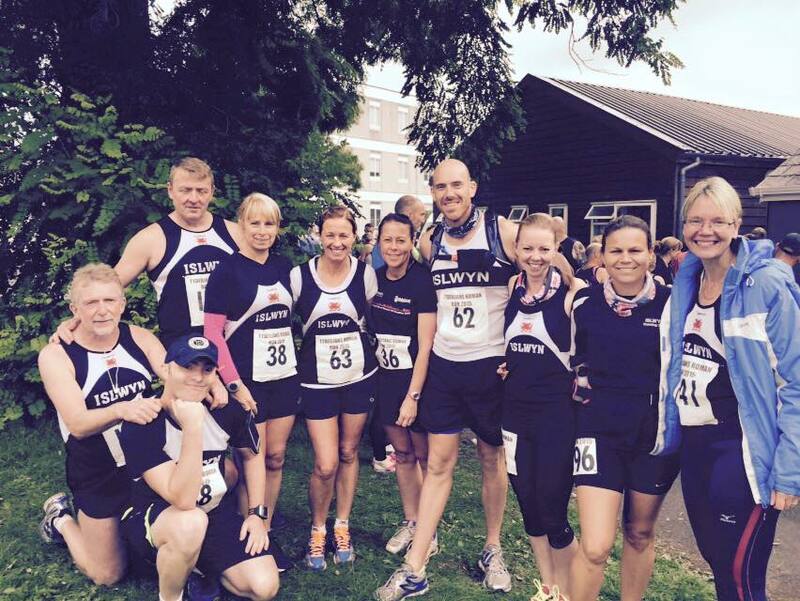 Tuesday 28th July 2015 - Islwyn Running Club (Parc Penallta, CF82 7PG). 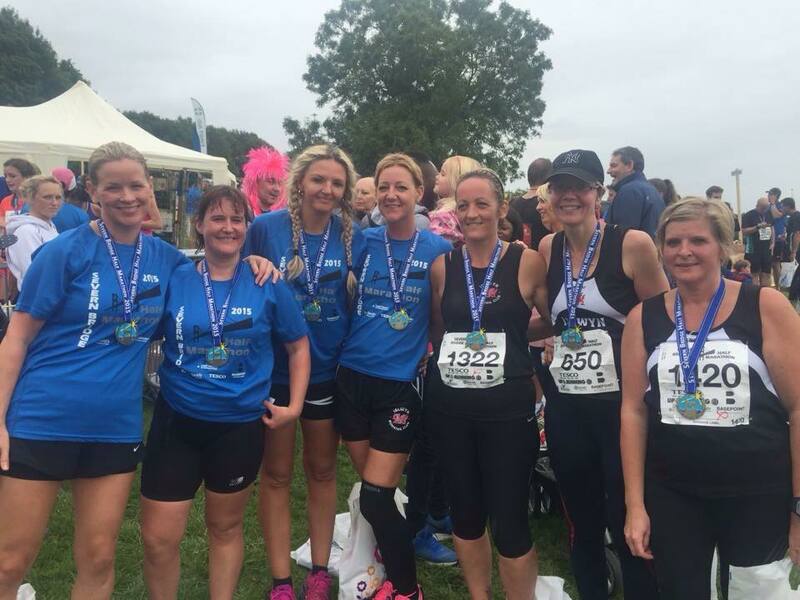 Tuesday 18th August - Chepstow Harriers (Chepstow Leisure Centre, NP16 5LX). All races start at 7:30 p.m. Once again please make every effort to support your club and attend at least one of the above. The races are great for those who like to tear up the tarmac and are a good opportunity to mingle with your team mates!